Available in single packs or case of 6, please choose below. British Restaurant style onion masala base is a great universal curry gravy and a wide range of curry dishes can be cooked with just this one popular masala base. Cook a meal in only 20 minutes for 3-4 people. Just add spices,meat, fish or vegetables for an authentic curry dish. Heat 2-4 tablespoons of oil in a pan for 30 secs on full heat. 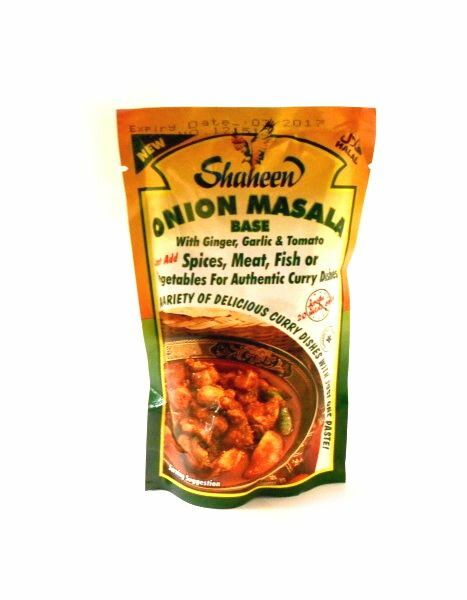 Add Shaheen Onion Masala Base and stir continuously for 2 minutes, add the spices of your choice. Add 350g of Meat, Chicken, Fish, Prawns or Vegetables for hot curry or 500g for Medium Curry and Stir well. Cover & simmer on low - medium heat for about 7 minutes for Prawns and Fish, 15-20 minutes for Chicken and Vegetables, stirring occasionally until tender. (For lamb or beef add 200ml of water at step 3 and cook until tender). Add 2 - 3 green chillies sliced in half, 2 fresh, chopped tomatoes and 1-2 tablespoons of plain yoghurt when you are first adding the meat / vegetables to the pan. Add thin slices of half a green pepper, half an onion, a small piece of peeled ginger, and 1 tomato ( quartered ) to the pan as a finishing touch, 5 minutes before the end of cooking time. 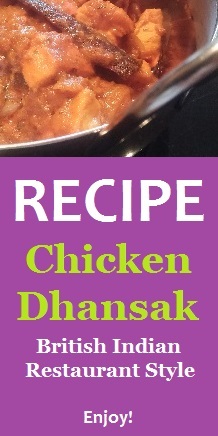 Garnish with chopped coriander & serve with nan, rice & salad. Onions, tomatoes, vegetable oil, fresh garlic and ginger, special mixed spices, salt.